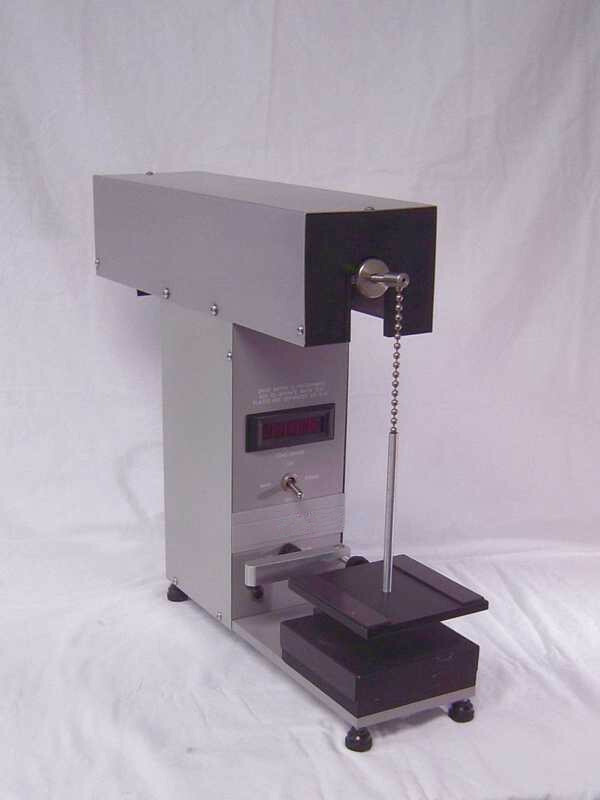 Reblock Tester is designed to measure the undesired static adhesion which can exist between layers of certain types of plastic films. The tester utilizes a compact mechanical balancing system that incrementally adds weight equivalent to 90 ml per minute of water. Through use of this system, the BRB is able to increase the precision and speed of blocking tests and meets or exceeds all conditions specified by ASTM D3354. The Tester features a magnetic clamp to securely hold the sample in place, eliminating the need for tape. The force required for separation is shown in tenths of a gram on an onboard display. All variables are monitored electronically to maximize accuracy and repeatability. Meets ASTM D3354 "Blocking Load by Parallel Plate Method, Procedure A"
Increased speed, accuracy and ease of use versus traditional balance-water method.